thanks Prop. 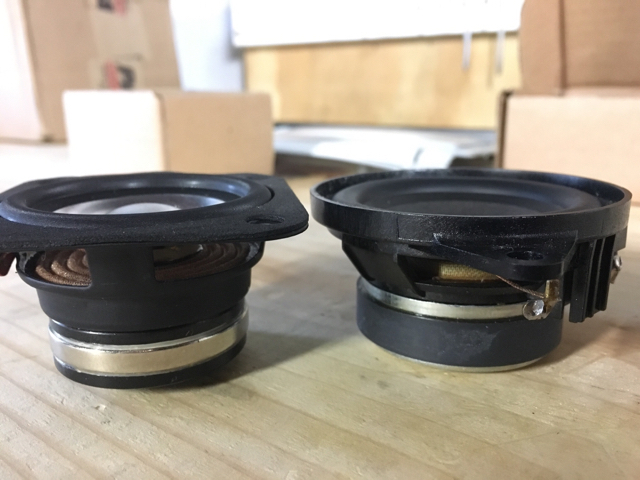 Its quite the cost difference between the C2-600s and TR model speakers...I'm leaning towards the C2-600 sets, but perhaps a set of TR for rear doors (since cheaper cost) will be suffice since they are just background fillers at that point. I would go with the C2s also the DSP amp as I understand it can push 35 rms per channel so its a good match. Courtesy post regarding the rear door and dash midranges - since the rear door mids are the same part # as the E46 rear location I wanted to share someone on E46F install photos link who did this to the same housings we have in the rear doors - Pay attention to pictures #58-65 using the Fountek FR58EX 2" midrange driver (which also keeps the factory impedance of 8ohm) - should be fairly easy to trim the square frame rounded off, and fit into that location - super high quality drivers for the price. 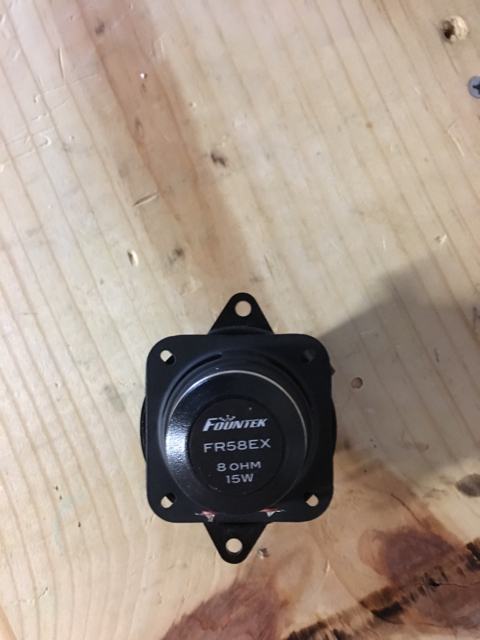 I tried to test fit them in the factory dash location last night but they are a touch too small, the factory mounting holes are approx. 80mm or so (I will confirm later as I don't currently have an OE driver, thanks to Semcoinc -Mike, I will have a set by tomorrow to play with), the Memphis PRX275 are about 84mm center to center on mounting holes this is why they can be made to fit in the factory location, albeit being a bit oversized. Last edited by Ricky Bobby; 02-13-2017 at 01:27 PM. Man this would be the way to go for the dash speakers if the pocket could afford!!!!! My pocket cannot justify this price band. Follow up - factory dash midrange mount holes are 80mm. 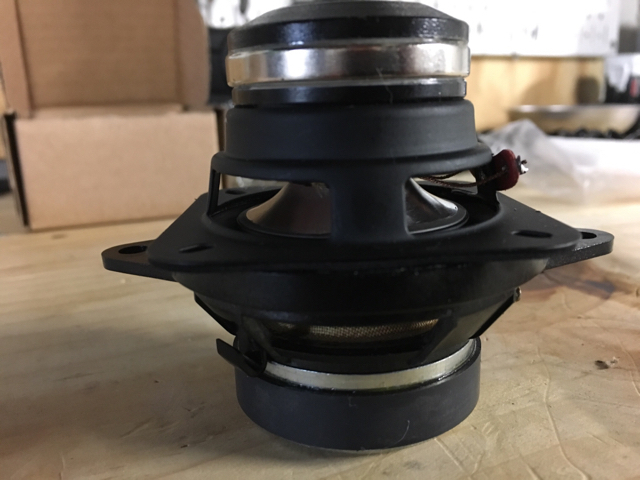 Outer diameter of driver is 65.5mm or so, ID is 63.5ish - these Fountek drivers should work well in BOTH midrange locations. Just need to disassemble the factory pieces and a bit of tin snip but should fit snugly in the factory housing. 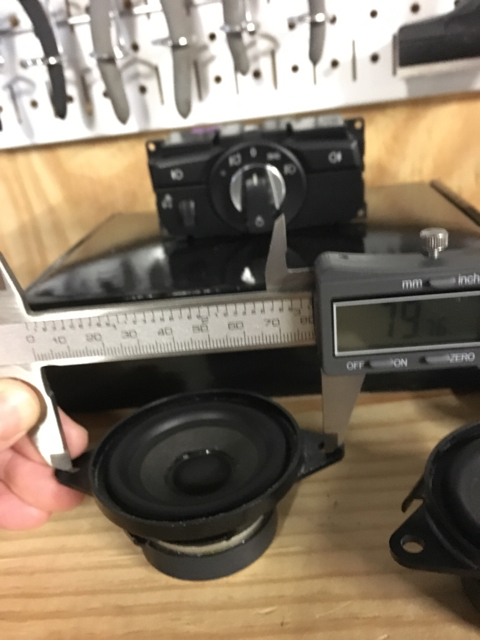 Jay if you are gonna use the Vifa woofers up front too then just set them on top of the factory housing mount as they won't fit "inside" the mounting ring if you catch what I mean. Pics - depth is spot on as well with these and for $17 apiece not bad. You can do dash and rear midrange with 4 of these. The only difference is the rear housing doesn't have the "wings" that the dash housings do. Exact same driver whether DSP or not, just different housing. 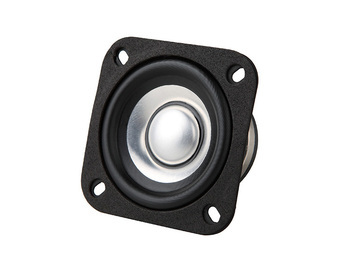 So if I can imagine this correctly, if you were to rotate the Fountek speaker on top pf the factory front mid range, the fountek still seems to be too short diagonally for opposite corners to match up with factory speaker mount holes... So should I assume that after trimming the square to shape of factory "diamond" shape that one would still need to find a way to secure it to the sheet metal in dashboard, AND does the taller height from table top to underside of mounting tabs of Fountek make it mount too deep inside the dashboard and therefore bottom out, or is there plenty of clearance under the factory speaker to allow for this extra few mm's? Hey Mike - check my post a few posts back there was a Dropbox link showing how he "rounded off" the corners of the Fountek to fit in an E46 application - also I mentioned how my method now is to re-use the factory mount, just take the OE speaker out of it, its just a speaker sitting in a plastic housing so a few mins with the dremel will work. There is plenty of room, the Memphis speakers have more depth than the OE driver and they fit fine so no issues with these - the Vifa 2" woofers that Jay bought should also be fine - but they would are just a touch too wide around to sit inside the factory plastic mount, they would end up just mounting on top of the housing, which would work fine. A lot of rambling about 2 stupid dash speakers I know!